In many fairytales and soap opera dramas, the evil stepmother has always been one of the most popular tropes, but these celebrity stepmothers prove that not all stepmothers are as evil as the stories make them seem. 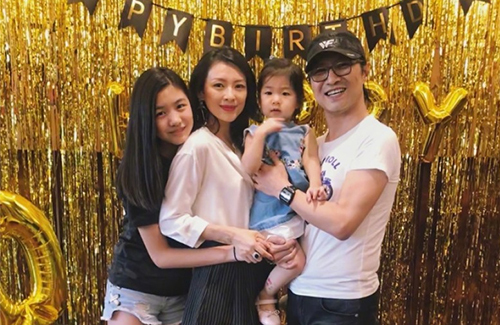 The award-winning actress married singer Wang Feng (汪峰) in 2015, and gave birth to their daughter Xingxing that same year. Even so, Ziyi and “Little Apple” (Wang Feng and Ge Huijie’s 13-year-old daughter) are as close as ever. Ziyi often includes Little Apple in their family photoshoots, and has always been Little Apple’s biggest support and closest friend. Fan-chiang Su-chen is the wife of Hong Kong singer Kenny Bee (鍾鎮濤) has been with the singer through thick and thin. 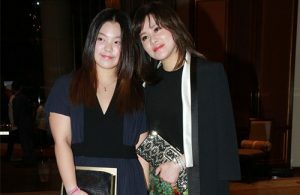 She also treats Kenny’s two children with his previous wife, Teresa Cheung (章小蕙), like her own. In 2012, Kenny’s oldest daughter Chung Ka-ching (鍾嘉晴) wished Su-chen a Happy Mother’s Day, telling her, “You are my only mother.” Kenny and Su-chen also have two children together: Chung Yi (鍾懿), born in 2004; and Chung Kwok (鍾幗), born in 2010. Nikki’s stepson doesn’t know she’s a homewrecker yet. @passingby it was earlier reported nikki’s husband was married and out the blue divorced and now these 2 are married. @janet72 yeah that was shocking. Didn’t know she was that desperate. Or else he must be very rich that she didn’t mind the homewrecker label thrown at her. @jimmyszeto let’s just say she didn’t give a da-m that she was stealing another woman’s husband.